← One hundred years ago – October 1917. Rope Walk – “The Battle of the Posts”. Rope Walk today is a narrow but well used roadway running parallel to the Pill. Its name obviously records the presence of the ropemaking industry which was once so important to the ship-owning merchants of Bideford – but how many know the odd story behind the disappearance of the industry? Around 1876 H.M.Restarick, a ship-builder of East-the-Water, took over the Rope Walk and, aware of the need for ever longer ropes, extended his ropemaking yard including some new posts – right across Chingswell Street and into the Strand. This obviously upset the local residents who immediately complained to the town council, who responded by ordering Restarick to take down the new posts as soon as possible. Unfortunately Restarick was also a town councillor himself and he told his fellow councillors bluntly ‘Horses, carts, carriages, pedestrians etc could only pass subject to the convenience of the rope manufacturers’ and he really couldn’t understand why everyone was getting so agitated! 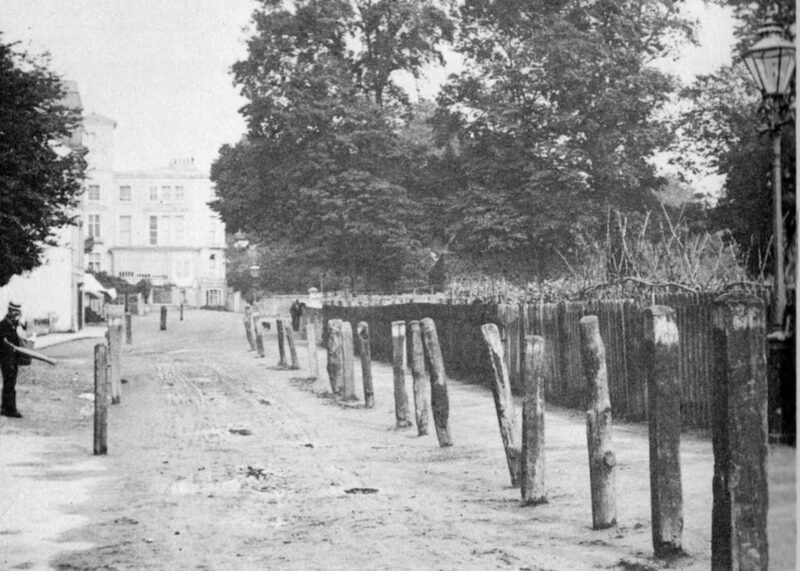 The council then ordered their Surveyor and his men to physically remove the contentious posts. They arrived at 7 a.m. one morning – only to find Restarick and some 50 of his employees guarding the posts. The shipbuilder then ‘dared the Surveyor to touch the posts’ – at which point the council men retreated. 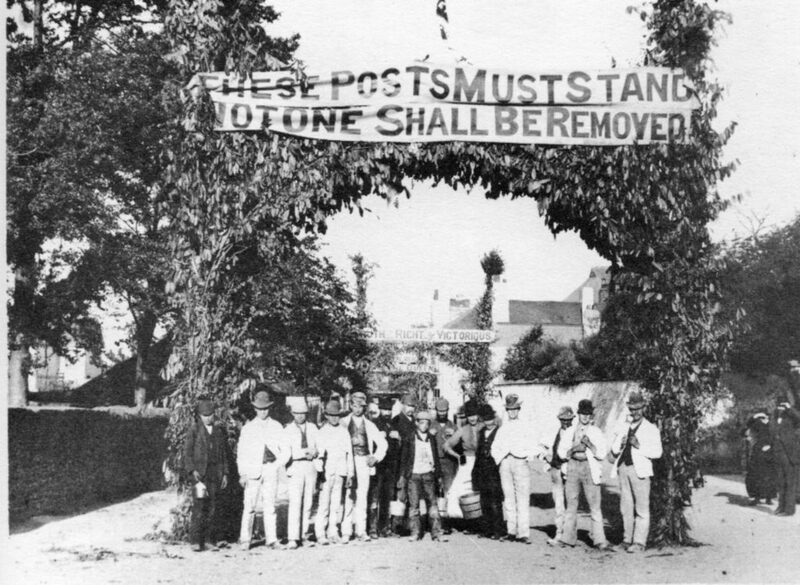 Local papers satirically termed this ‘The Battle of the Posts’ as they reported a second attempt to uproot the posts at midnight where ‘a big strong fellow by the name of Passmore’ led the council men but as soon as he began work he was seized by Restarick’s men and escorted away. He was lucky as the ropemakers ‘had a bucket of tar and a bag of feathers near at hand and were very anxious to use them.’ To celebrate their victory they erected some ‘triumphal arches’ made of evergreens and topped with triumphant mottoes. A month or so after this a council election was held where ‘pro-post’ candidates were elected in the heaviest poll ever recorded in town. The new council half-heartedly attempted to reach some agreement but Restarick refused and the posts remained at least until 1906 when, some 8 years after Restarick had died, the owner of the Strand Collar Works, which had replaced the Rope Walk ‘generously decided to forego his rights in respect of the posts on the Strand’ and they were removed. Exciting times in Bideford! This entry was posted in History and tagged bideford, HM Restarick, Peter Christie, Rope Walk Bideford. Bookmark the permalink.